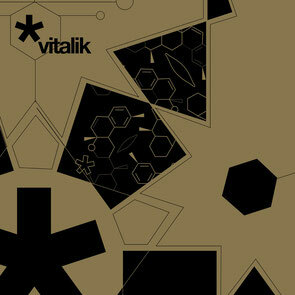 Vitalik Recordings pulls together the likes of Mark Henning & j u g, Appleblim, Frankline De Costa and more with remixes from Gerd, Ehtly & Luv Jam for its ‘Vitalik A Retrospective Of One’ compilation this December. Ryan O Gorman and Henry Rumour set up Vitalik Recordings back in 2009 with a plan to translate the ethos and aesthetic of the parties Ryan had run in Ibiza under the same name with partner Joe Upton. Having clocked up 25 releases on Vitalik the pair felt it was the ideal time to put out a traditional milestone and document the output of the label in one retrospective package. The collection presented is a 12-track compilation that reflects the influence the label has made on house and techno over the last five years, picking past contributions from the likes of Gerd, Appleblim, Mark Henning & j u g, Ethyl, Luv Jam and Soulade. Agnès’ ‘Silence & Snow’ kicks off the compilation, building over shifting percussion and buttery synths the first offering is a smooth house cut. Soulade follows suit with his deep remix of Mark Henning & j u g ‘Moors’. Submerged tones and swollen bass characterise Luv Jam’s remix of Such A Saint ‘St. System’ and 4Lux boss Gerd dishes up a synth laden remix for Jamie Lloyd ‘Last Drive’. The second half of the compilation gets underway with another re-hash of Henning & j u g ‘Moors’ from Agnès who jacks things up to deliver a raw and stripped back re-imagining after which he follows with the smooth grooves of his own ‘Ancient Methods’. Franklin De Costa works out cosmic vibes in ‘Belongings’ before there’s another Soulade delivery in ‘Fora Da Chuva’ that manages to fuse deep tones and ethereal modulations into a hypnotising rhythm. Mark Chambers & Maura ‘Without You’ is a stripped back affair comprised of melodic synths and shifting percussion while Ethyl’s take on Hugo Barrit’s ‘Lilly Hole’ is a no nonsense house cut. UK lads Blackhall & Bookless edge things to a close with the penultimate offering ‘Esoj’ while Appleblim’s rippling drums and groove-laden rhythms of ‘Moonlight’ finish the compilation. It’s out today on Vitalik Records.